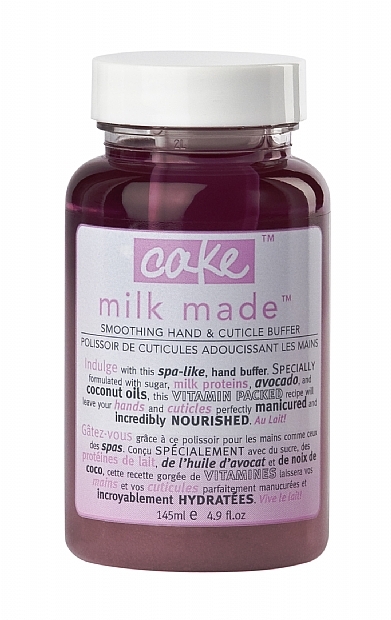 I received this product from Cake Beauty a few weeks ago and I am here to force you to go out and purchase this holy grail hand and cuticle buffer. Why? Because it literally smells like a piece of cake and MY HANDS HAVE NEVER FELT SOFTER! You take a spoonful out of the jar, rub the products on your cuticles and hands over the sink for 30 seconds and rinse to experience the softest hands ever in the history of everdom. I’m pretty sure I held my own hand for an hour they were THAT soft. I’ve never heard of Cake Beauty but boy-o-boy, I am hopping on the bandwagon because I’m a huge fan! I believe the buffer is around $20? Check out more of their scrubs by clicking HERE! I highly, highly recommend you trying this product, I guarantee you will not be disappointed! I’m definitely going to experiment with more of Cake Beauty products because I am so impressed with their quality and cute packaging! Bonus: Cake Beauty is a Canadian company! So. Good.